A$10/GJ, as well as expecteions that posing a major threat to industries, particularly chemical manufacturers, that rely on natural gas as a feedstock. 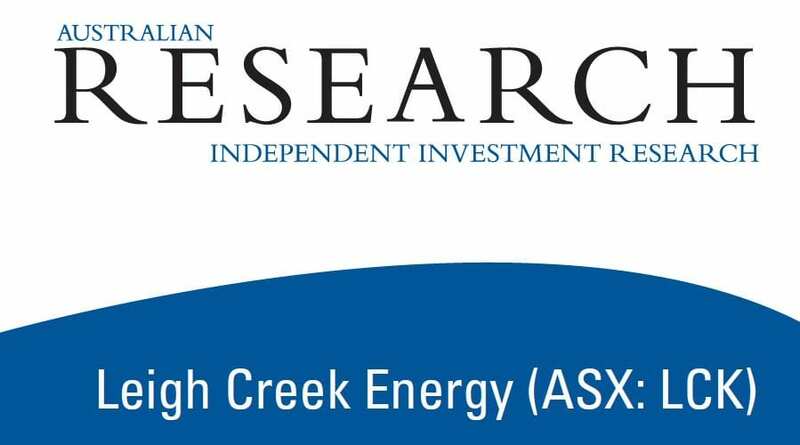 This provides an ideal opportunity for Leigh Creek Energy Limited (“Leigh Creek” or “the Company”), which is concentrating activities on the 100% owned Leigh Creek Energy Project (“LCEP”. or “the Project”), located over the eponymously named historic coalfield, 550 km north of Adelaide in South Australia. The LCEP is an in-situ coal gasification opportunity (“ISG”, also know as underground coal gasification or “UCG”), with the Company looking to commercialise the significant, recently booked 2P Gas Reserves of 1,153 PJ, and 2C Gas Resources of 1,469 PJ, the largest uncontracted Reserves of any energy developer or producer in Eastern Australia.